Hitman will be on November 10 among the first titles taking advantage of the PlayStation 4 Pro. you can get an idea of its look with the new screenshots inside. Also, as a reminder, the ultimate episode taking place in Hokkaidō released earlier this week. 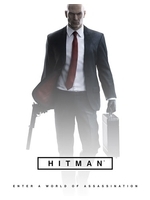 COPENHAGEN, November 3, 2016 – Io-Interactive is pleased to announce that HITMAN is coming to PlayStation®4 Pro (PS4®Pro) computer entertainment system on November 10, 2016. 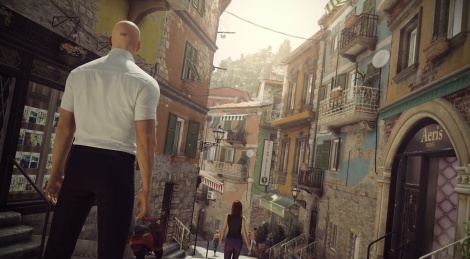 “With HITMAN we made a live game which is constantly improving and the PS4 Pro aligns perfectly with that vision of constant improvement, we’re proud to support it,” said Hannes Seifert, Studio Head, Io-Interactive. Become the Master Assassin in this intense spy-thriller story. As Agent 47 you perform contract hits on powerful, high-profile targets in exotic locations around the world, from Paris, Italy and Morocco to Bangkok, the USA and Japan in this creative stealth action game. Gameplay focuses on taking out targets in huge and intricate sandbox levels with complete freedom of approach. Where to go, when to strike and who to kill - it is all up to you. God, that upscaling looks awful up close. Good thing you won't sit 15 inches from your 4K TV. I've had a lot of HDMI port problems with my past PS4s so I'm hoping it's much improved on the pro model. I was planning on getting one but based on the lack luster support out of the gate I'll probably wait and see. So far I've yet to see or read anything that sounds very impressive. The latest level is one of the best hitman has ever had. Perfect balance of complexity and size and fun murderous options.